Granite countertop installation involves several key steps to achieve the perfect look you want in your kitchen or bathroom. 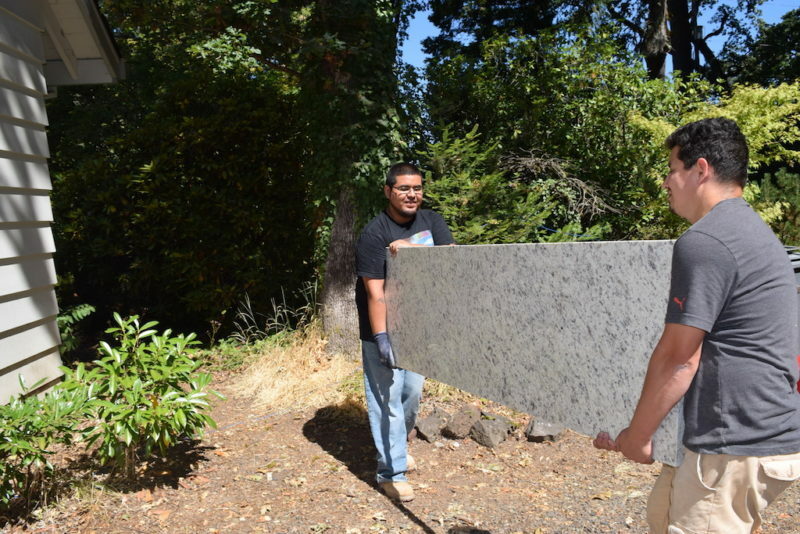 The crew at Sunset Granite are a group of knowledgeable and experienced craftsmen and technicians who are more than capable at performing this task. Installing a granite countertop consist of multiple steps and procedures that need to be done correctly for a perfect and structural install. First, upon delivery of the slab or slabs to your home, we test and level the slabs. Next is seaming the slabs. Seaming the slabs is normally done with a specialized seam setter. Finally, our crew commences installing, cleaning and sealing your new granite countertops. For you to have a better understanding of the process, we have gone into depth explaining how a proper installation of a granite countertop is completed. Before a slab of granite is ordered, we’ll help you decide what color or design style of granite you would like. There are many colors to choose from, Sunset Granite can help in deciding the right color that will fit best in the design scheme. 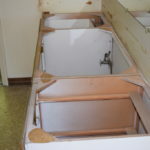 If you are replacing your sink at the same time it would be wise to choose and purchase the model of sink you would like. We have a wide range of sink and faucet options and we’ll help you find the perfect match for your new countertop. It is recommended with a granite top that a 16-gauge or 18-gauge stainless steel under-mount sink be used. The faucet will also have to be picked out either new or used, this is important for the fabricator to drill the correct number of holes in the proper location. Once the sink and faucet have been chosen we order the slab of granite. An experienced tech will come and make a template of your countertops. 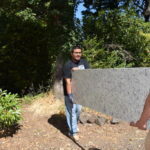 A template is an important step in the process of the granite countertop install. This assures that we have an exact replica to trace on the slab of granite that we can then cut out. Once we have cut and formed the overall shape, we can start edging the slab, giving it a smooth and clean look. The sink and faucet holes are also cut out while this is being done. Once the edging and drilling is finished we polish the slab so that it is clean and prepared for the install. Sunset Granite offers same day tear out and install. Before we remove your old countertops, we ask that your lower cabinets are emptied and your countertops are clear. 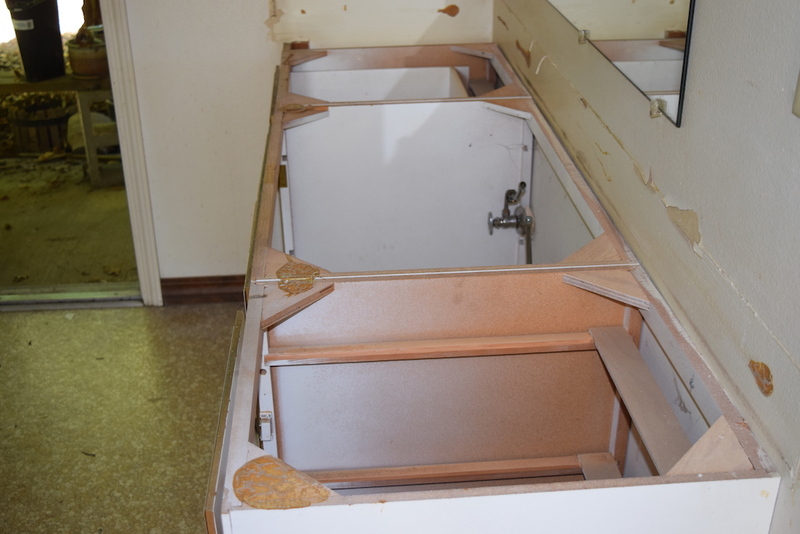 We recommend emptying the lower cabinets because there will be some debris that will fall and it will make for an easier clean up. From here the install is straight forward. 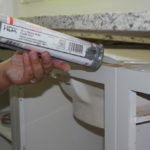 Our professional team removes all the countertops that will be replaced. With the work area clear of debris, we bring in the new countertops and set them in position. At this point any fine tuning, including testing and leveling, will be done before final installation. After fine tuning, we put a bead of adhesive on the underside of the slab and set in place. There will be sections of granite that will need to be joined, and this is done with special seam setters that will be colored to blend almost invisibly between the two slabs. 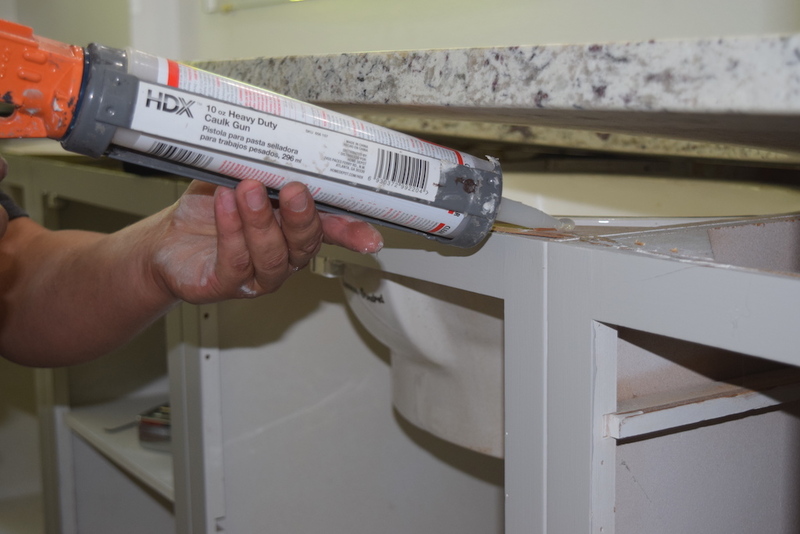 One of the most important steps in the installation process is the sealing of your granite countertops. We use the highest quality material to seal your tops. This insures that your countertops will last much longer, all while being resistant to stains and abrasions. From here we install the sink and faucet, we clean up our work area and welcome you to inspect our work. Sunset Granite is committed to quality work and customer satisfaction. If you’d like more information on the installation process or would like a free estimate, reach out to our professional team. 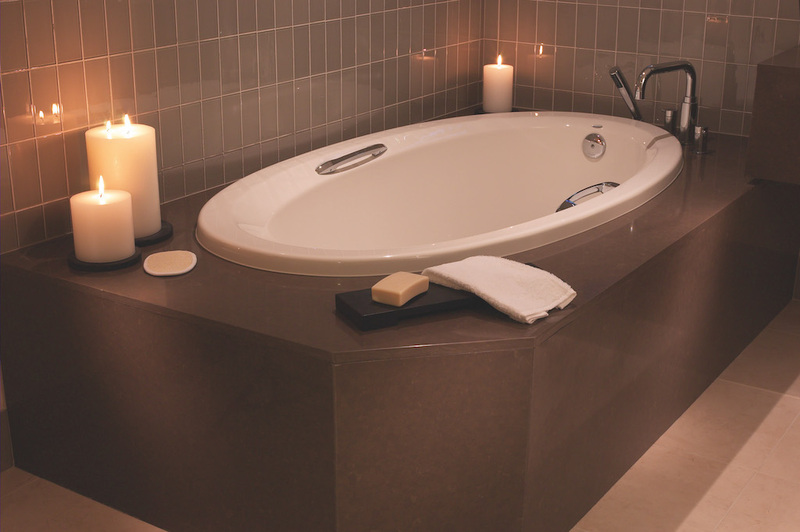 We’re ready to partner with you to make your kitchen and bathroom countertops look great and last for generations.